WHEELCHAIR-users can now receive tooth care without incurring the difficult process of shifting to a dental chair. The step forward has been made possible by the provision of £31,000-worth of the latest technology, purchased jointly by the league of friends of the Bexhill and Conquest hospitals. Leona Toner, head of special care dentistry, emergency dental services, made a personal presentation of the needs of local patients attending the Blackman Clinic to both leagues more than a year ago. Now at a photo-call at the St Leonards clinic in appreciation of the gift, staff have given the chairman of the Bexhill league, Cllr Stuart Earl, and the charity's treasurer, Chris Ashford, a demonstration of the break-through the new aids have made for dental patients with special needs. 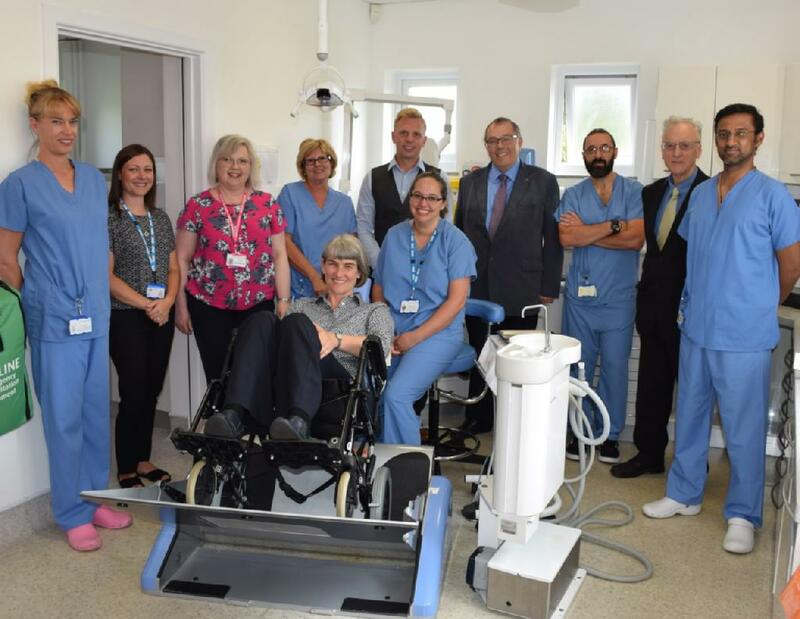 They demonstrated how a wheelchair can be secured in position on the specialised platform so the dental surgeon can work without inconveniencing the patient. The showed the capacity of the bariatric chair and its dedicated headrest to accommodate patients weighing up to 50 stones.